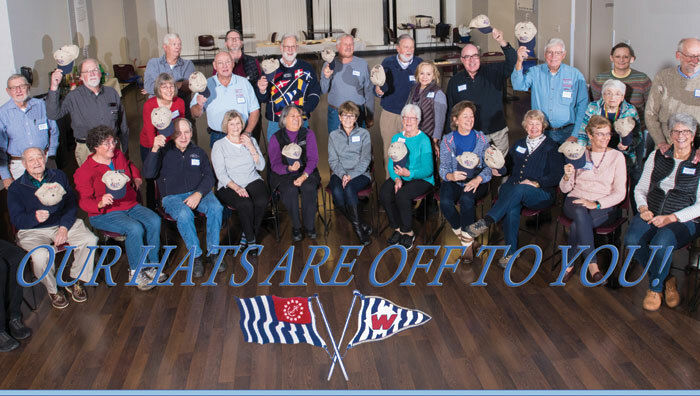 Our hats off to all of the membership, past and present, of the Wilmington Sail and Power Squadron (WSPS), who are celebrating 80 years of service. Our membership has been actively involved in providing community boating education, cooperative charting, summer crab feasts, weekly lunches, annual cruises, safety vessel checks, and instructional and entertaining monthly winter assemblies in the Upper Chesapeake Bay area. We deeply appreciate our former WSPS leadership who so successfully supported our club during the past 80 years and have built a strong foundation for current members to enjoy. Many of our members have sailed the Caribbean, Bahamas, Maine and Canada. Others just enjoy the Upper Bay, a day motoring up a tributary, or our land-based social events. Members learn from each other, whether it is engine maintenance, proper setting of sails, or navigating electronically. An abundance of knowledge, experience, and camaraderie has been shared over the past 80 years in the WSPS. We tip our WSPS hats to those that came before us. A recent anniversary land event was our Oyster Dinner. 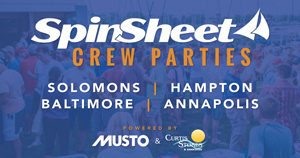 We try to have at least five such events throughout the sailing and boating year. Presently, most members are preparing for winterization and look forward to the winter social aspects of our organization, while we plan our 2019 summer season.